The entrance of any building is the first thing to be judged. These new options for large-scale doors make a positive statement when used in residential, commercial, or hospitality environments. Slide & Seal Door System Reveal Windows & Doors For lightweight, completely concealable glass doors, the slide & seal system is a beautiful option that comes in a wide variety of options including wood species, glazing, track performance and hardware finishes. The doors are incredibly lightweight and even have the option to be fully automated with the touch of a button. Vinyl Folding System La Cantina Doors Vinyl doors are a brand new offering from La Cantina, after noticing a gap in the market for residential offerings. The style is available in standard and custom door sizes up to eight feet tall and 18 inches wide in a wide range of popular configurations; available in white and tan. Pattern Generator Mosa The Mosa pattern generator allows one to create one-of-a-kind patterns for tile applications suitable for floors, walls, or ceilings. Mosa has also developed a complete library with the same standard grids as the Pattern Generator. This library can be searched for the desired grid with the corresponding AutoCAD files. These can then be downloaded for 2D and 3D software. Ultra Series Kolbe Windows & Doors Kolbe has a large variety of options for creating custom doors and windows, all built to order, allowing for wide and tall sizes, unusual shapes, and endless finishes including rare wood species. Baldur Krownlab Suitable for commercial and custom residential interiors, Krownlab's patented hubless sliding door hardware can support up to 400 pounds and is available in three different styles: top mount, face mount, and glass mount—and can be used in a variety of door configurations. Room Divider Anyway Doors The room divider can be installed without a built-in floor fixture, which allows doors to revolve 360 degrees, and feel incredibly light. The hignes are designed to be installed either on an offset or central axis. The doors also close completely soundlessly, as they have a patented locking technology integrated in the door as well as in the minimalist frame. Operable exterior walls strengthen the link between architecture and landscape by selectively erasing portions of a building. Whether they're swinging, sliding, or pivoting, these dual-purpose panels expand the possibilities of design. Invisible Wall System Vitrocsa With only 3/4" vertical sightlines for dual-glazed sliding doors, the Vitrocsa system creates an almost invisible wall that can be opened and closed. Available as sliding windows and doors, fixed windows, vertically sliding “guillotine” windows, and pivoting doors. Compliant with Dade County hurricane impact standards. Multi Slide Panels La Cantina A variety of sill options are offered, including a standard weather resistant sill, flush guide sill for smooth floor-to-floor transitions, and an ADA-compliant sill for both interior and exterior applications. Low-profile rolling hardware ensures smooth, quiet operation; stainless steel wheel options available for all doors and standard for larger systems. With both pocketing and non-pocketing applications, the multi slide panels can stack flush against one another or slide into the wall, completely out of view. Slope Sky-Frame The Slope sliding windows can be installed with an inward or outward inclination, generating a distinctive spatial geometry. The bearing assembly is able to accommodate all vertical and horizontal forces, achieving superior running performance. Regardless of inclination, the system drainage meets all driving rain resistance requirements. 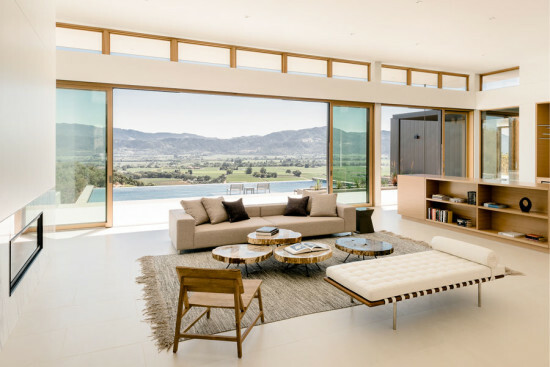 Ultimate Multi-Slide Door Marvin Designed with narrow stiles and rails, this new door comes in a variety of configurations and large sizes with standard widths up to 50 feet wide and 12 feet tall, offering the ultimate in design flexibility and unbelievable, wide-open views. 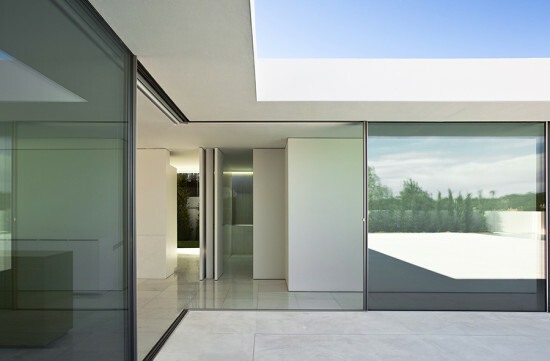 Cero Sliding Window Solarlux Concealed aluminum frames facilitate large openings while preserving architectural purity. Single glass panels can measure up to 19.5 feet tall and 13 feet wide. Available in manual and motorized versions, and for insulated and non-insulated glazing. Minimal Frame Window Panoramah Offering excellent thermal insulation and watertightness, these fully-opening casements feature a ¾-inch visible profile. The maximum area for each glass panel is 195 square feet; maximum height is 19.5 feet. Even in four-season climates, the allure of outdoor living endures. Meticulously engineered for ease of operation, structural soundness, and weather-tightness, large-scale openings offer a seamless transition between indoors and out. Sliding, telescoping, or rising mechanisms give designers—and their clients—a choice of access that complements their architecture. Arc Sky-Frame This sliding curved window can be double- or triple-glazed. Multiple curves can be combined, or integrated with straight runs. Slide/Fold Duratherm Light, ventilation, and privacy are achieved through a strategic use of louvers on the slide/fold door system, here custom fabricated in teak. Fourteen wood species are offered for this configuration. 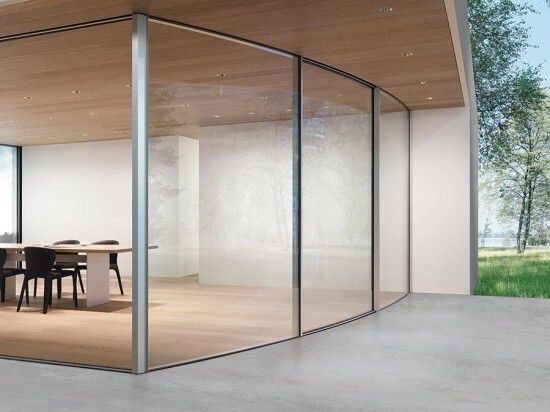 Vitrocsa Invisible Wall System Vitrocsa With only ¾-inch vertical sightlines for dual-glazed sliding doors, this system creates a nearly invisible operable wall. Available as horizontal sliding windows and doors, vertically sliding windows, and pivoting doors. Solarlux Cero A 1 1/3-inch profile and a concealed track system facilitate a near-seamless appearance. Capable of supporting panels up to 13 feet by 1 9 feet with a weight of 2,200 pounds. Architectural Openings Architectural Openings Doors with lift-slide and swing mechanisms combine with tilt-turn windows in this custom mahogany curtain wall. Lift/Slide Panda Windows & Doors With a maximum panel size of 20 feet tall by 10 feet wide, these thermally broken lift-and-slide doors feature an extruded aluminum profile and polyamide iso-bars. E1200 Elephant Doors System CRL Operable storefront sections slide behind fixed sections of this opening system. Suitable for conditions that require a wide opening that can be easily converted into a fixed panel, a wall, or a wall with a door system inside. Multi-Slide Door System La Cantina Doors This aluminum thermally controlled multi-slide door system features AAMA certified wheels, which allow for a symmetrical, low-profile bottom rail. Hydrau-Lift Bifold Doors Hufcor These automated bi-fold doors fold vertically up and outward when retracted, leaving a clear opening and minimizing the amount of headroom needed inside the building. Standard Grade Multiwall Sheets Polygal Featuring a UV coating to protect the polycarbonate panels against yellowing, the rigid sheet structure provides extra strength under wind and snow loads.